Many health care organizations have been slow to respond to change. At Cone, executives seized the opportunity to transform. It is human nature to reject change. Hardwired to avoid risk, we cling to the status quo as a survival strategy. Successful leaders, however, recognize the need to subvert that impulse, especially in the face of unprecedented threats. They do not avoid the fact that evolving business realities demand serious organizational transformation. They embrace the work it requires, investing a sizable amount of time and energy without hesitation. Rather than managing for today, transformational executives set bold, fearless goals that regard an approaching freight train of disruption as a catalyst, not a threat. Nowhere is a commitment to bold transformation more necessary than in the U.S. health care sector. If current spending trends in the United States continue, by 2025 1 of every 5 dollars spent will go toward health care costs. No wonder, then, that for years industry experts and politicians have called for transforming our health care system into one that pays for value and proactively promotes good health, rather than a reactive model that merely pays for the number of procedures performed. To jettison their old fee-for-service model of health care delivery, health systems have turned to a new type of health care organization created by the 2010 Patient Protection and Affordable Care Act: accountable care organizations. ACOs are designed to lower costs while improving care by moving away from paying doctors for each test and procedure. Instead, ACOs bring physicians and other providers together to ensure that people stay healthy by getting the right care at the right time in the right place. In other words, providers are paid according to outcomes rather than inputs. That turns the old delivery model on its ear, says Cone Health CEO Terry Akin. For the last eight years, the Greensboro, North Carolina-based not-for-profit health care network has been on a change journey to keep people healthy and out of the hospital, he says. With 12,000 employees, six hospitals and more than 100 physician practices across Cone’s network, Mr. Akin and other Cone Health executives knew from day one that the transition to a population health approach that reduces costs would require a significant commitment of time and resources. But they also understood that to thrive amid seismic industry changes while transitioning to an ACO model, nothing less than a cultural transformation was necessary. While some executives might have looked at Cone Health’s healthy bottom line in 2010 and rationalized complacency, then-CEO Tim Rice, Mr. Akin (then COO) and other leaders decided the status quo was unacceptable. Understanding that profits would evaporate as insurance reimbursements decreased in the coming years, Cone Health chose to work with Insigniam to undertake a complex transformation that would engage physicians and employees, put patients first and ultimately compete on health care outcomes, not volume. To get there, Cone Health executives set a bold top goal for the organization—and it was not all financial. They decided the organization had to rank in the top 10 percent of all health care organizations across the U.S. in terms of patient experience, quality of care and cost management. Achieving that ambition, they decided, was contingent on moving away from a top-down leadership approach and building a new culture around empowered employees. Looking back, Mr. Akin recalls that, pre-culture change, the focus was heavily financial. “Leadership was not a team sport—it was more top-down,” he says. Cone Health’s management focused on engaging staff throughout the organization, from front-line workers to physicians, bringing them into conversations about purpose and the strategic plan. This improved employee engagement and dramatically reduced turnover. Boosting workers’ satisfaction—and thereby attracting and retaining top performers—was a critical step to improving quality of care and increasing patient satisfaction. Now, four years after its cultural revamp concluded, Cone Health has successfully executed a reorganization under Mr. Akin, who took the reins from Mr. Rice in 2014. The goal this time was to bring the network’s corporate structure in line with its mission of providing best-in-class health care. 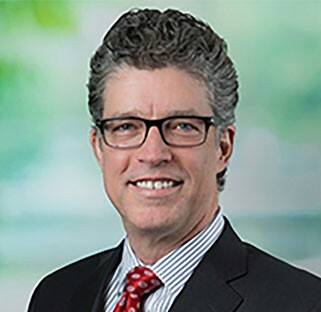 Reinvigorating Cone Health’s staff with a new patient-centric mission was a necessary starting point, Mr. Akin says, “but that alone wouldn’t take us where we needed to go.” If a transformed culture was the foundation of Cone Health’s future, a transformed organizational chart would be the superstructure. To reach its bold performance goal, Cone Health had to integrate various aspects of the organization across the health care continuum to ensure caregivers would work together, overcoming old silos, to best serve patient needs. Part of this involved establishing clear responsibilities to improve alignment around the goal. In other words, after effectively transforming the organization’s culture, leadership needed to “balance inspiration and support with high performance and accountability,” Mr. Akin says. He decided early on to tap Insigniam’s expertise around enterprise-wide transformation and breakthrough results to make change stick. When Mr. Akin was promoted to CEO, Cone Health had a fairly traditional structure: Hospitals were on one side, while outpatient centers and other facilities were on the other—each with a separate network of managers. In keeping with the continuum-of-care ethos, Mr. Akin and his leadership team began integrating staff members across different facilities. Everyone who worked in patient service was grouped together, regardless of whether they worked in a hospital or a rehab facility. Administrative team members across Cone Health were also united. Now, as patients journey from an inpatient hospital experience to a rehab site to an outpatient center, Cone Health’s integrated teams are collaborating more to ensure smooth transitions in a manner that was impossible under the old, siloed system. Patients now move through a unified system, rather than navigating an organization stitched together on the front end but disparate behind the scenes. The top of Cone Health’s org chart now signals the collapsed distance between management and caregivers, and a move toward patient-centricity. Today senior management includes 12 doctors—including one in the COO role—versus just one eight years ago. This sea change is partly due to a new physician leadership academy, which Cone Health created to help doctors learn how to collaborate in the new ways required by a value-based model of health care. By adding doctors to the leadership ranks, the system was able to move away from its myopically more business-focused past to a future in which providers weigh in at every level. Mr. Akin credits physicians and physician leaders with a large part of the organization’s success in transforming to value. To implement its new structure and ensure continued operational excellence, Mr. Akin created the Leadership Alliance in early 2016. On the first Thursday of every month, it brings together a group of roughly 100 senior leaders across Cone Health to make sure everyone remains enrolled in the organization’s purpose, vision and strategic goals. It also ensures clarity around responsibilities and accountability. These leaders help sustain and reinforce the culture in which all employees feel safe enough to speak up. Everyone at Cone Health has a voice, knowing they can make a real difference. By looking past surface structure and working to drive deeper organizational transformation, Cone Health has effected change that can last for years—for decades—to come. For example, new Cone Health projects to improve patient care bear the fingerprints of a swath of employees. To wit: its forthcoming $100 million, 196,000-square-foot women’s and children’s center expected to be completed next year. Its design was created with input from more than 900 staff, doctors and former patients—a far cry from the old process that typically involved only executives, outside consultants and vendors. The new hospital is not the only tangible result of new cultural and operational paradigms. Employees are expected to be happier with a deep sense of ownership in the new facility, which leads directly to better health care. In fact, Cone’s employee engagement survey scores have increased dramatically in recent years, while patient readmission, complication and mortality rates have dramatically declined. Improved health care outcomes have not gone unnoticed outside the organization. Cone Health has racked up a slew of honors in recent years, including receiving the Distinguished Hospital Award for Clinical Excellence from Healthgrades for the third year in a row in 2018, and being named one of IBM Watson Health’s top 100 hospitals. At the same time, while challenged, the organization has remained on sound financial footing. In the end, Cone Health’s cultural and operational transformation has taken a solid eight years to implement—and the network continues to strive to improve its systems and patient care. To fundamentally change a health care system, thinking big is critical—even if the road ahead is daunting.